If you like Buffalo Chicken, you will like this. Not a difficult recipe and can be put together in a number of ways. I have to be honest it started out being put in naan bread. Then I decided I didn’t want bread again on the same day. So it ended up being a salad. Throwing goats cheese into the mix was scrumptious but then I love goat’s cheese. What threw it over the top for me was the killer avocado ranch dressing I made. Wow!! Since I didn’t have the chicken in the bread, I was justifying having the dressing. No seriously, it is good. I can just imagine how it must taste in the bread with the dressing. Next time! Mix together 1 bottle of Frank’s Red Hot Sauce, which to me isn’t hot at all. Ok maybe it has an inkling of being hot. 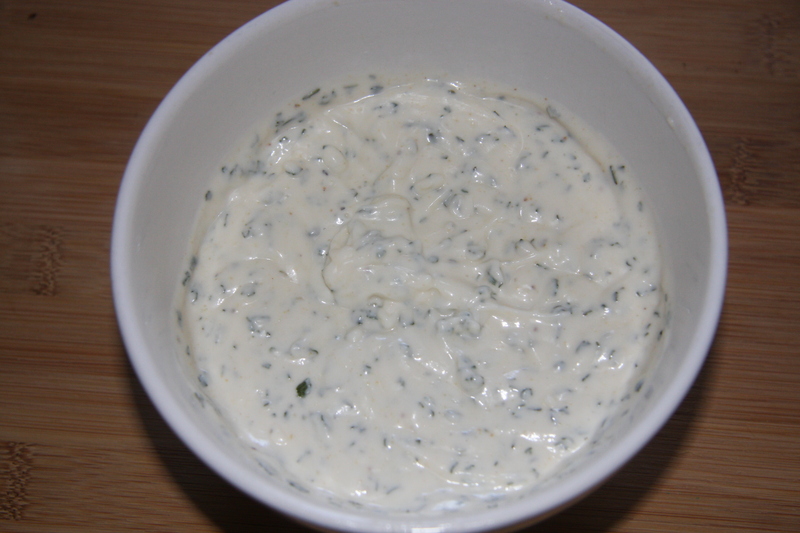 Anyway, mix it together with 1 package ranch style seasoning for salads and dips. 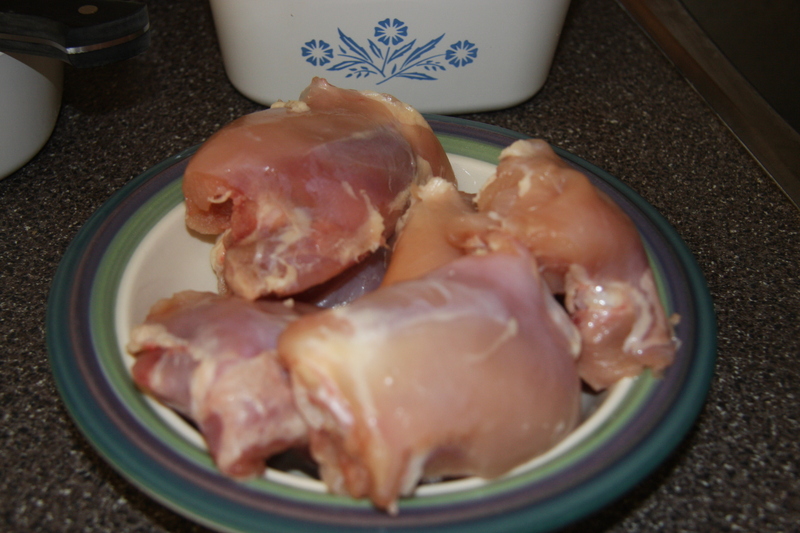 Then remove the skin from 6-8 pieces of chicken. I used thighs. 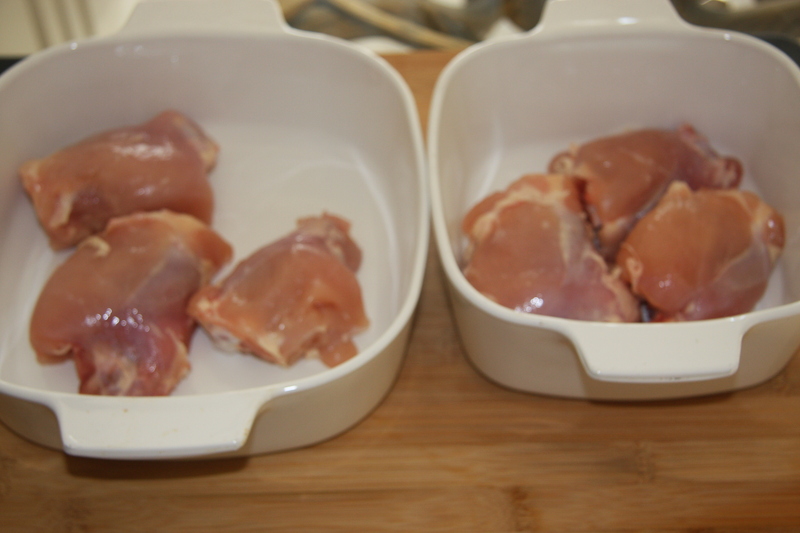 Into two casserole dishes, I divided up the chicken. 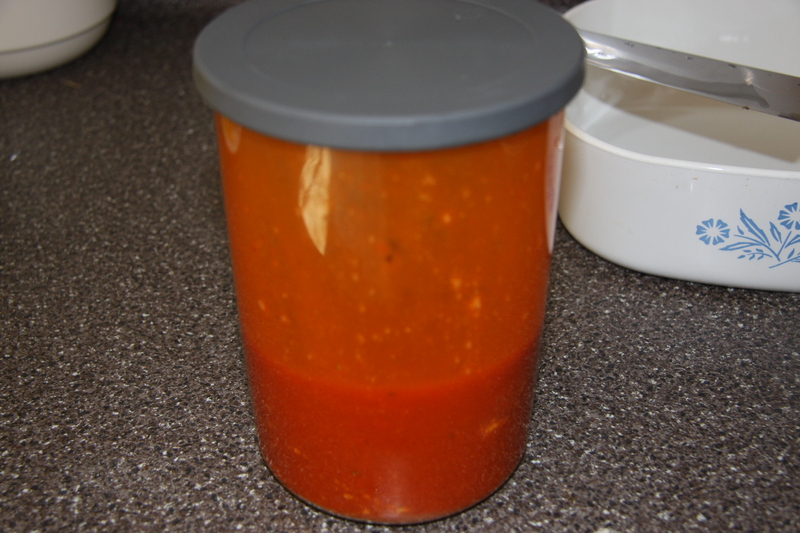 As a lot of you already know that the Mayor of my household, (I do promise to write in length one day as to why my husband is called the Mayor) doesn’t like hot sauce. When I poured in the sauce I watered down Mayor D’s portion. So at least he would have some of the Buffalo taste. I was really taking a chance. Marinade this for at least two hours or longer if you can. 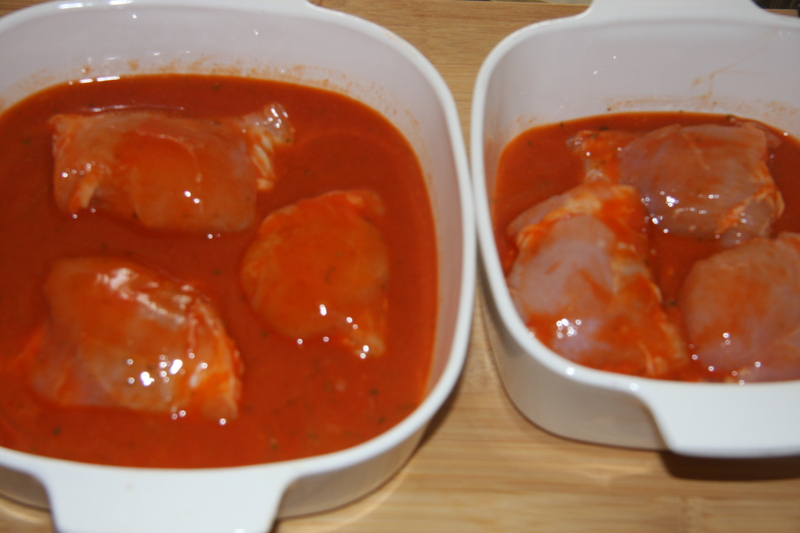 Then cover with foil and bake in the oven at 350 degrees for 45-60 minutes. This just keeps getting better. 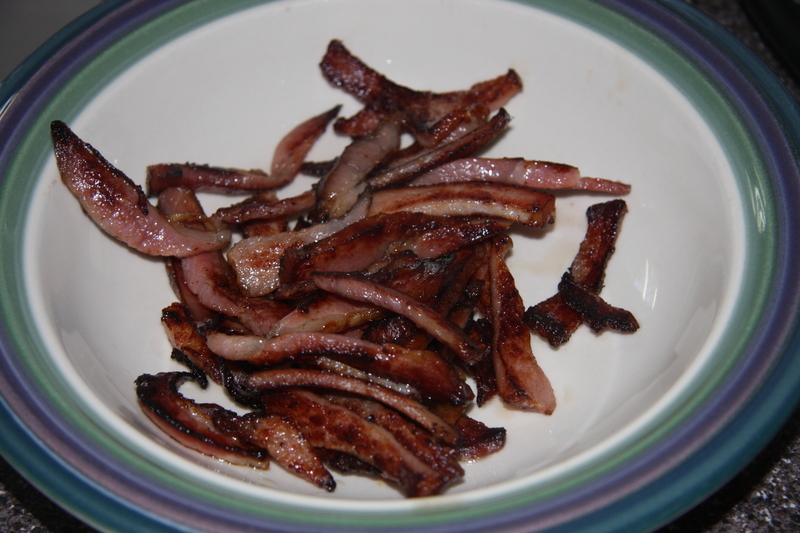 I sliced some of the best smoked bacon ever made. 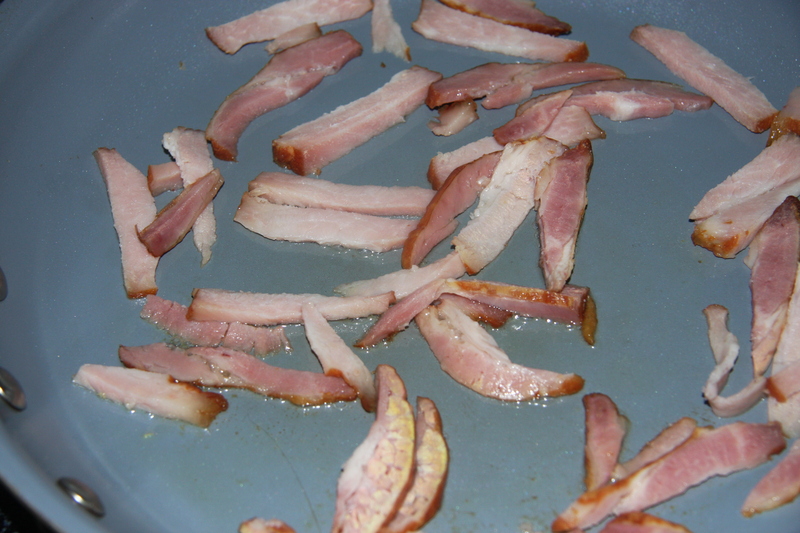 Oh about as much as you like, remembering that when you start cooking it, you will of course taste test, or end up with a bacon salad with chicken. 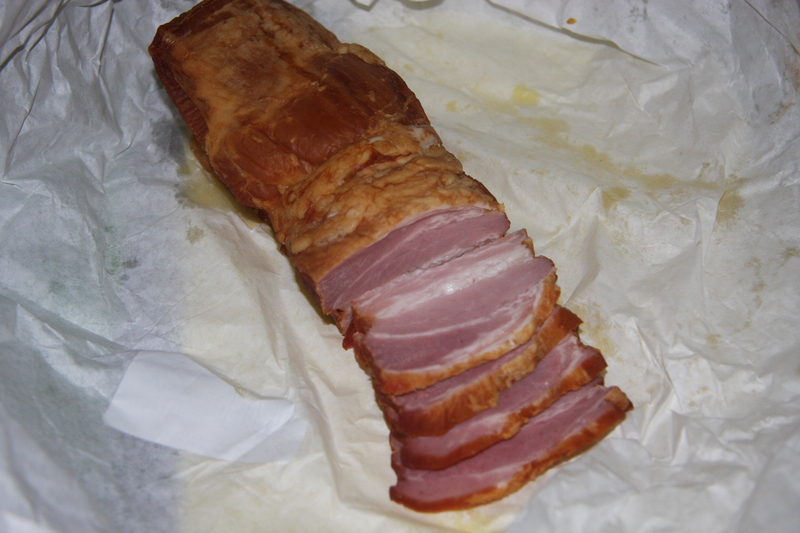 I buy this at a local butchers, which he makes. Proceeded to slice it into longer pieces. Then fry it until crispy. Set it aside at this point. 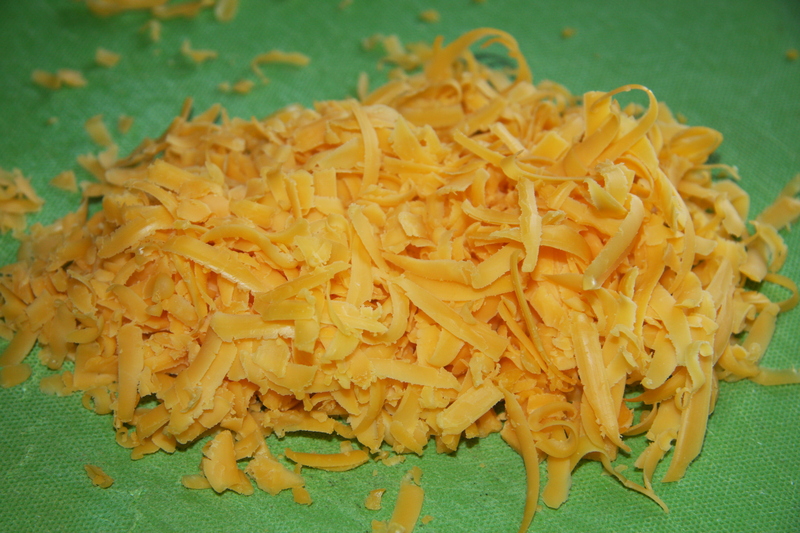 Grate about 1-1/2 – 2 cups of cheddar cheese. Set aside. Now to get this outrageous avocado ranch salad dressing, remove 1-2 avocados from their shells and mush them. That’s of course the technical term. Next add 1/2 of a lemon and it’s juice and it’s grated peel, (the zest), 1/2 cup Greek yogurt, 3-4 tablespoons milk, 4-5 tablespoons mayonnaise, 2 tablespoons chopped parsley, 2 teaspoons garlic powder, 2 teaspoons onion powder, 2 tablespoons fresh dill and 1 tablespoon seasoned salt. If you place this in a jar it will keep for a few days for other salads. It’s really good! 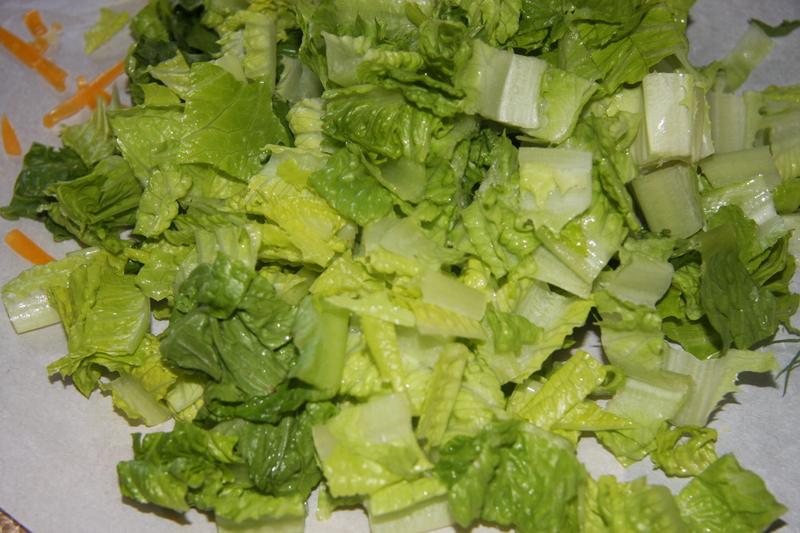 Chop up some romaine lettuce. 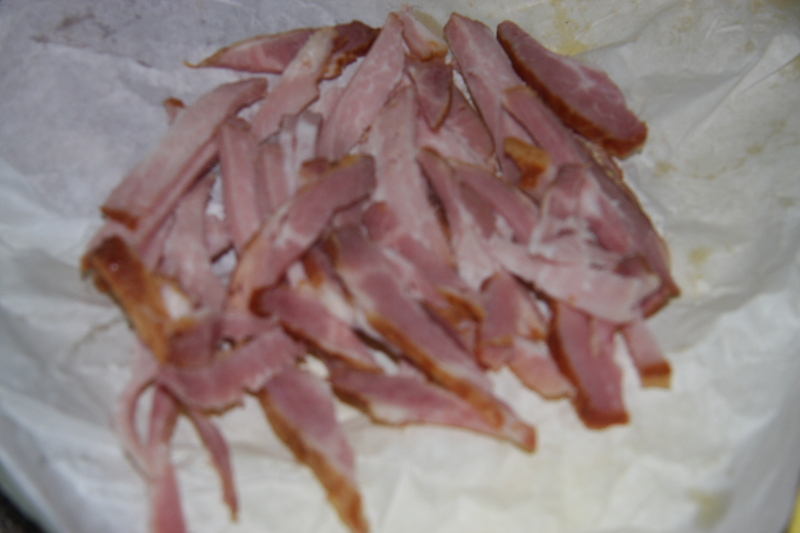 Toss it with cherry tomatoes halved, bacon strips and some goat’s cheese. Like in the picture down below. Top with chicken cut into strips and serve the avocado ranch dressing on the side. There you have it. 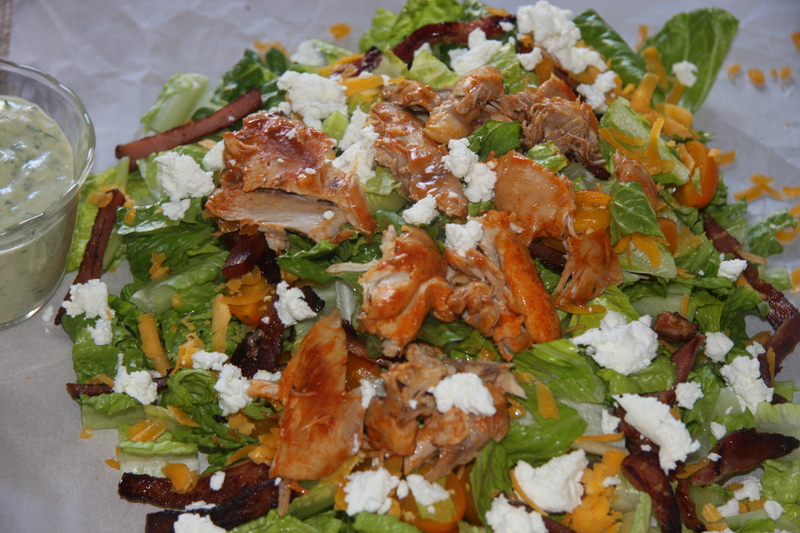 Buffalo Chicken Salad. Remove the skin from the chicken. 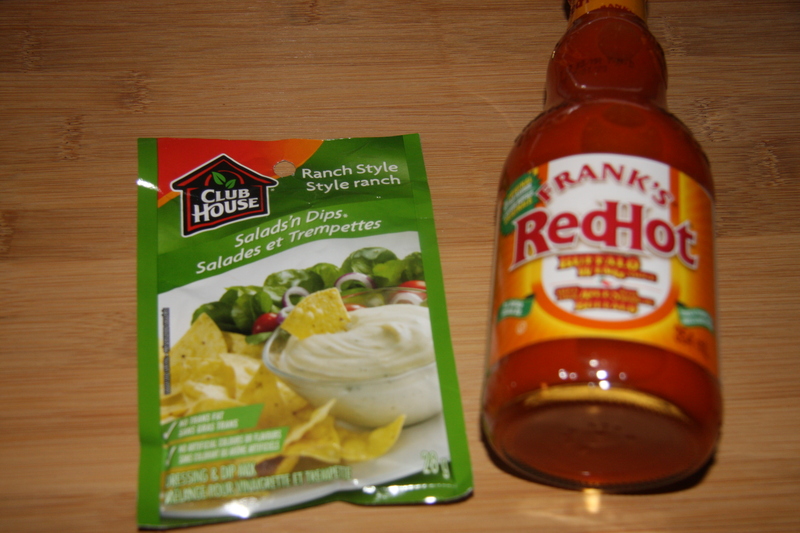 Mix together the ranch dressing and the bottle of Frank’s Red Hot sauce. Pour the sauce over the chicken and marinade for 2 hours. Cover with foil and bake at 350 degrees for 45-60 minutes. In a jar mix mashed avocado, lemon juice, lemon zest, Greek yogurt, milk, mayonnaise, parsley, dill, garlic powder, onion powder and seasoned salt. Shake well. Refrigerate. 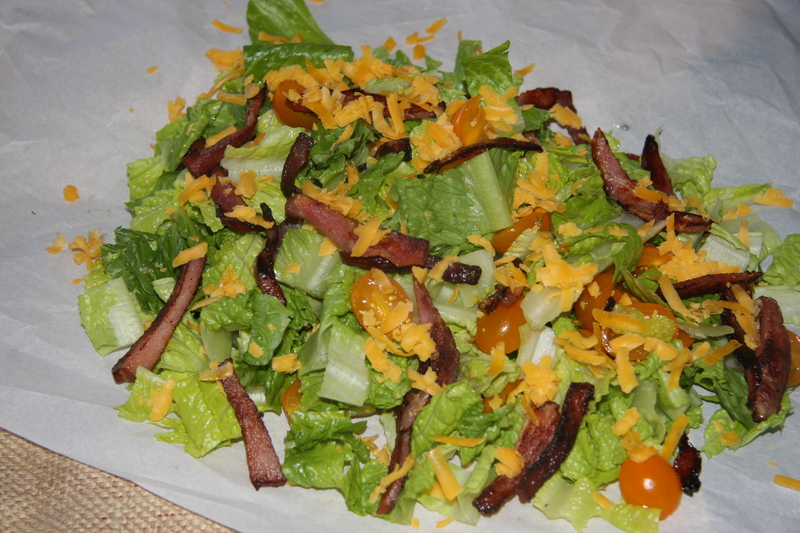 Chop some romaine lettuce, and toss it with cheddar cheese, goat’s cheese, cherry tomatoes and bacon. When chicken is baked cut into strips place it on top of lettuce and serve with a side of avocado dressing. Even top chicken with extra hot sauce.